A look back at 2018 and what’s in store for 2019. We begin 2019 with renewed hope and belief in the power of arts + culture. It is through arts + culture that connections are forged where there is division, where critical questions are asked to move beyond surface, where possibility is unlocked when bleakness abounds. 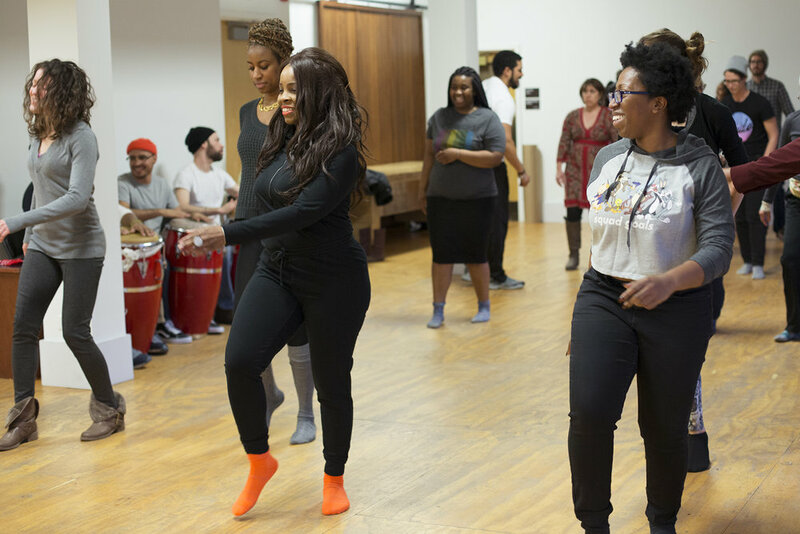 Arts + Public Life (APL) is grateful to the creative communities who explore ideas with us, offer their craft to audiences, and demonstrate the richness of cultural production existing on Chicago’s South Side. For seven years, APL has served 23 artists through the Artist-in-Residence program, along with our partner The Center for the Study of Race Politics and Culture. 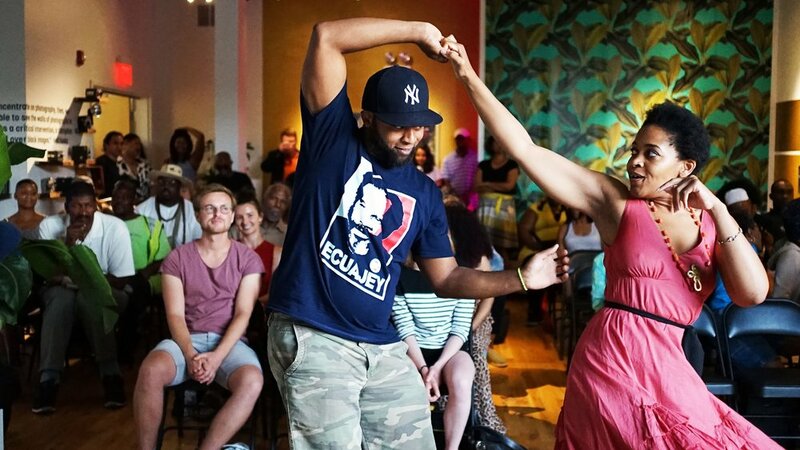 In August of 2018 we said goodbye to Artists-in-Residence Victoria Martinez, Arif Smith, and Brittney Leeanne Williams. Arif brought the warmth and spirit of the bomba community to the Arts Incubator, Victoria showered the space with colorful textiles while bridging the connections of cultures, and Brittney showed us the meaning of dedication and community through her painting practice. 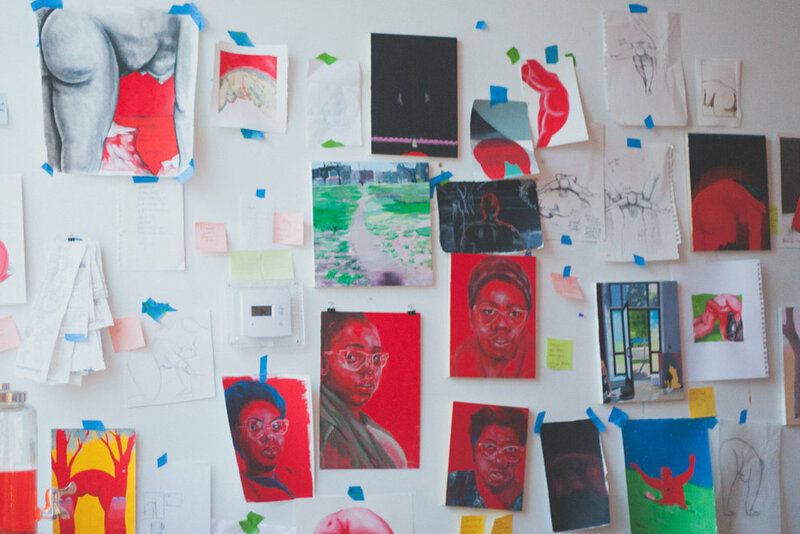 Artists-in-Residence alum, Brittney Leeanne Williams (2017-18) and Krista Franklin (2013-14) were awarded the 2018 Joan Mitchell Foundation Painters and Sculptors Grant. The grant celebrates the life of abstract artist Joan Mitchell by expanding awareness of her pioneering work and fulfilling her wish to support and provide opportunities for visual artists. We are honored that Krista and Brittney, the only Chicago-based artists awarded the grant, are part of our APL family. 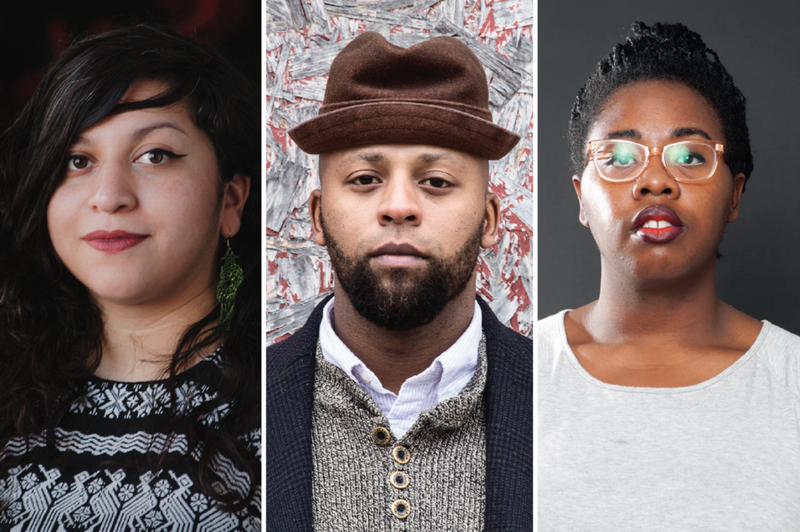 In November, we entered into our 8th cohort with artists Jarvis Boyland, Brandon Breaux, and Amina Ross. 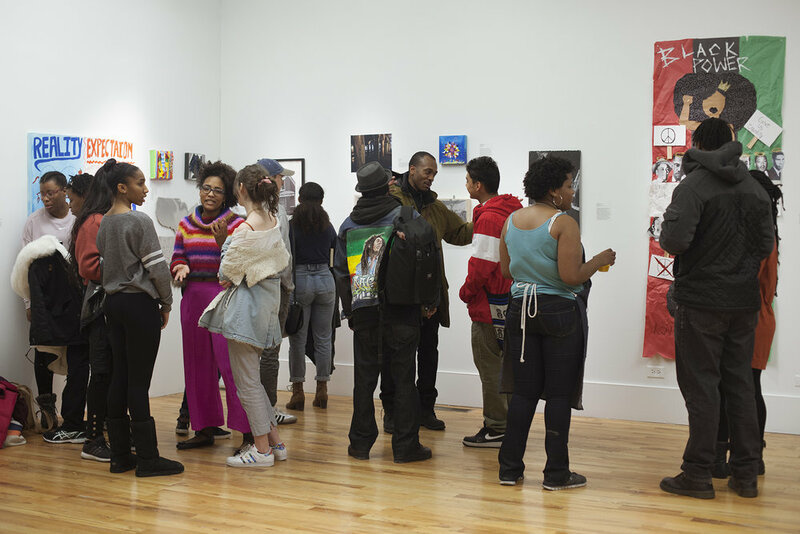 This past year demonstrated the dynamism of APL’s exhibition program, including centering and prioritizing artists and curators from the South Side. Every year, APL extends curatorial partnership to a number of Chicago curators or curatorial teams to realize exhibitions in the Arts Incubator gallery. 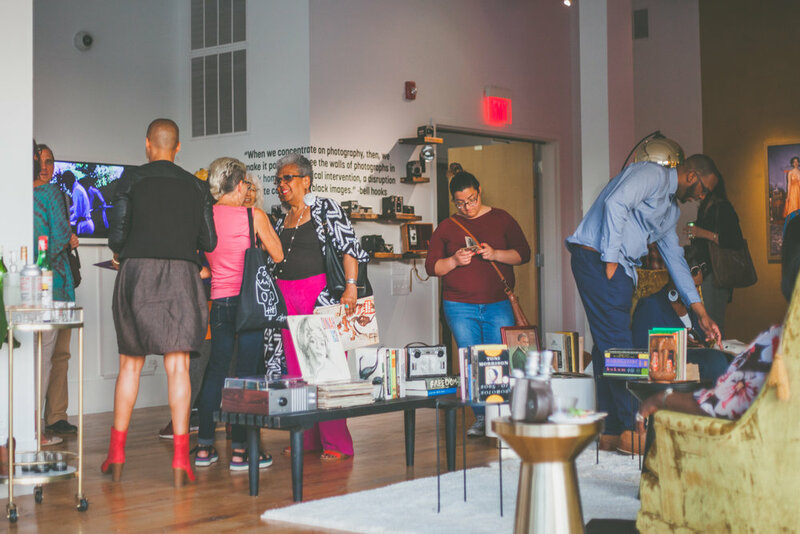 The gallery and flex space regularly transform, filled by the visions and imaginations of the talented artists, activists and cultural workers who enliven the spaces of the Arts Incubator and now the Green Line Performing Arts Center. 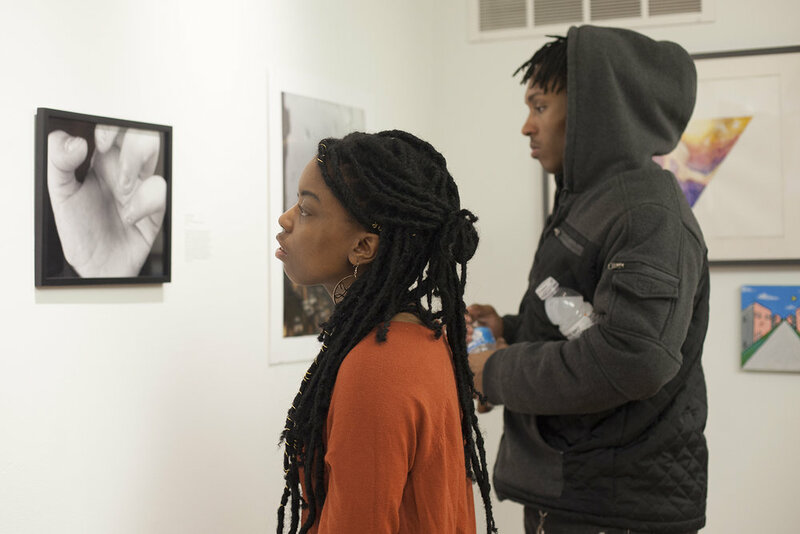 In 2018, we partnered with Links Hall to showcase the works curated by Amina Ross and Justin Chance through their exhibition and festival, Eclipsing. The APL team curated Everyday Resistance: The Art of Living in Black Chicago, in collaboration with South Side Home Movie Project, facilitating robust conversations including a program led by AIRs alum Ayana Contreras and Arif Smith on music and dance, a conversation about parks and contested spaces with Anton Seals and Meida McNeal, and a program on South Side sisterhood with the scholars and cultural workers, The Petty Sisters (Audrey, Jill, Miriam). 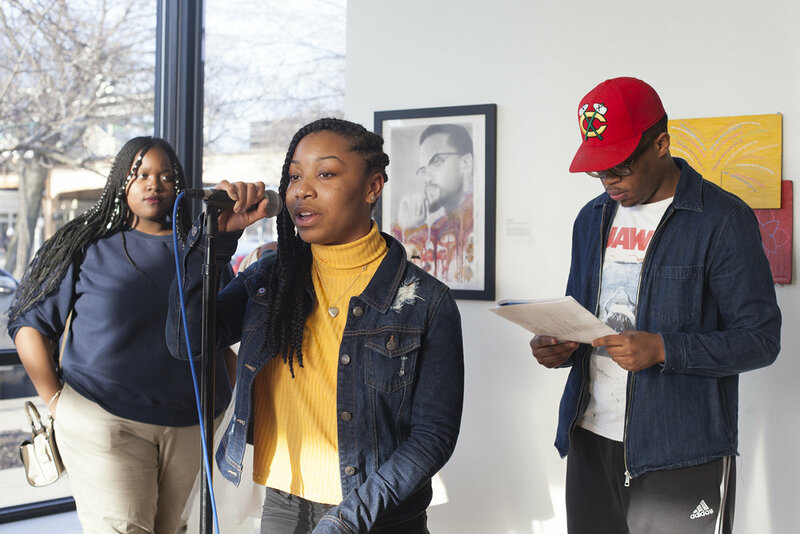 APL hosted an exhibition curated by our very own Teen Arts Council, which showcased the works of other young people, called I’m Down for Whatever: The Teen Perception. 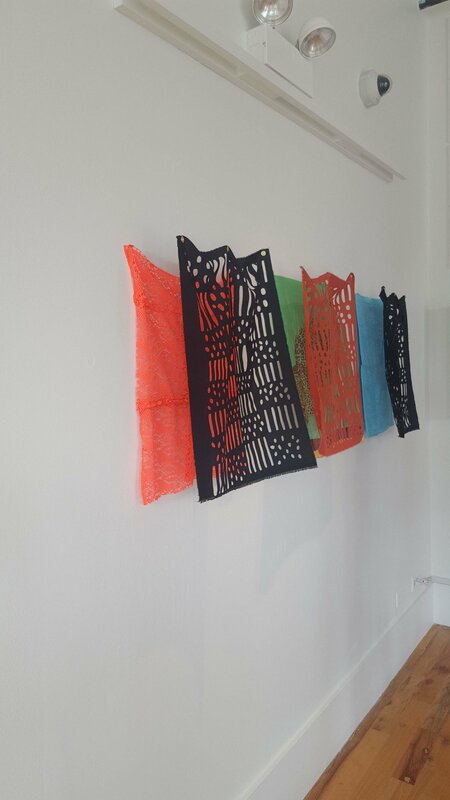 In July, the works of our Artists-in-Residence filled the gallery as part of their culminating exhibition, Carrying A Place Called Home. Arts + Public Life youth continued to thrive in 2018. Across fall, spring, and summer, APL facilitated youth programming nine months out of the year. We continued our flagship programs: the Community Actors Program, Teen Arts Council, and the Design Apprenticeship Program. 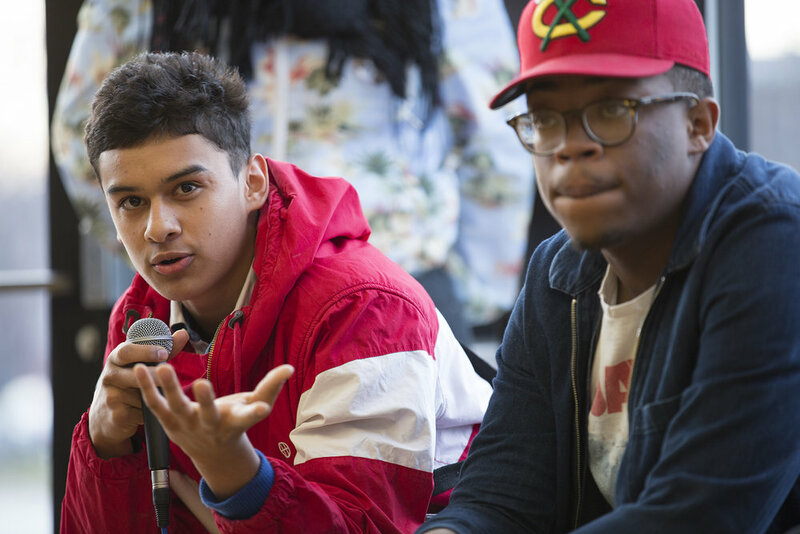 Since 2013, in partnership with After School Matters and with the support of several other funders, APL has been able to offer stipends to students that have totaled more than $246,000 and served over 730 area teens from 74 schools, with 94% from neighboring public South Side high schools. 2018 saw our youth shine bright in public, as well. Weinberg-Newton Gallery made Block Building around the work the Design Apprenticeship Program produced for local block clubs as part of a two-year collaboration with My Block, My Hood, My City. This project was highlighted in the 2018 Chicago Humanities Festival Graphic. 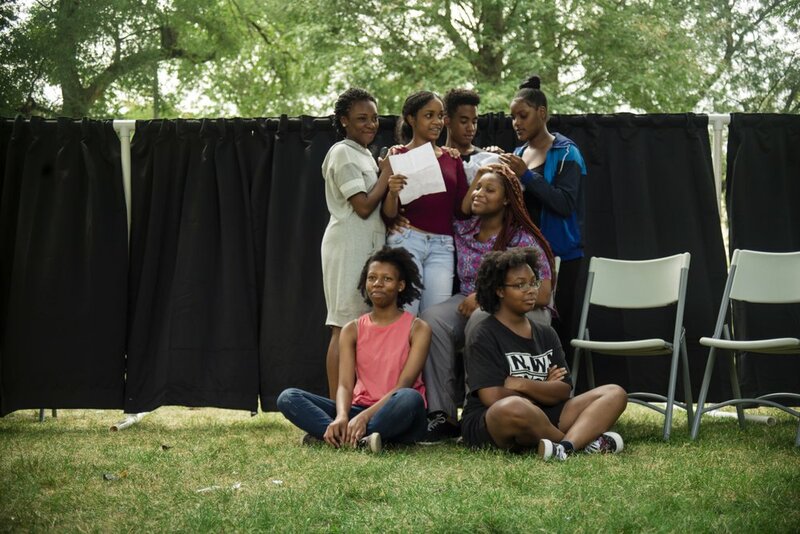 As part of The City of Chicago’s Year of Creative Youth, the Community Actors Program wrote their own script and performed at YAS! Fest in Millennium Park. 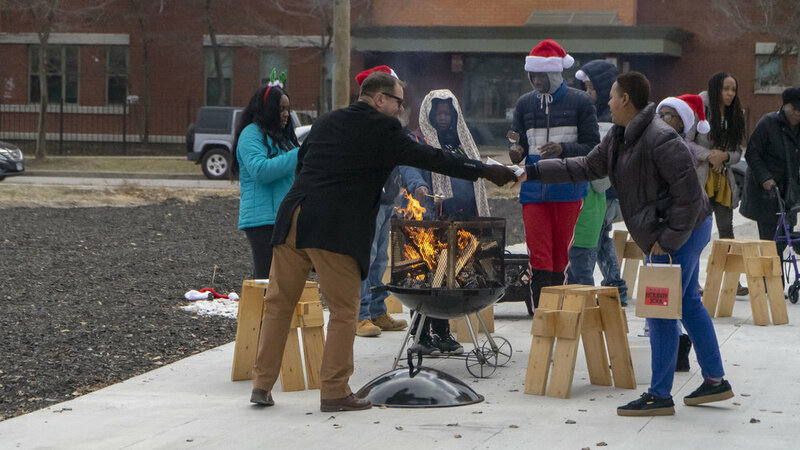 As always, APL continued to host and collaborate with a multitude of local youth and community organizations including The KLEO Community Family Life Center, Amplify, SkyART, and the Dorchester Community Garden. Arts + Public Life operates on the Arts Block, a vibrant collection of cultural and commercial spaces along Garfield Boulevard between Prairie Avenue and Martin Luther King Drive in Washington Park. 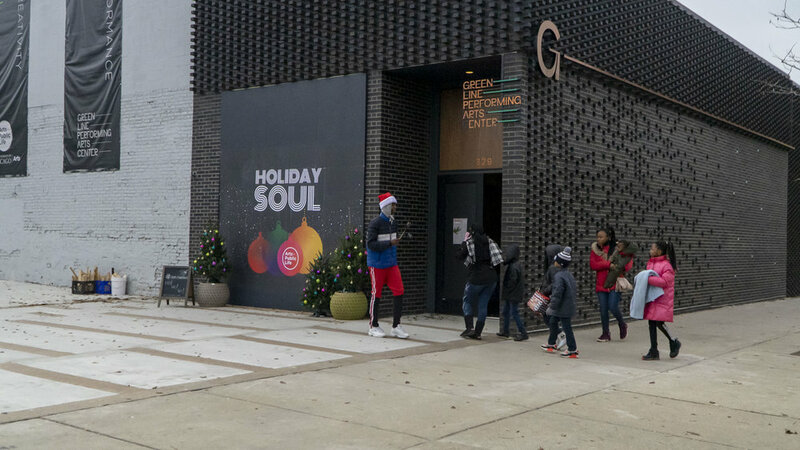 The newest edition to the Arts Block, the Green Line Performing Arts Center, a 6,600 square foot facility, opened on November 10, providing a vital new theater venue and rehearsal space to support the arts across Chicago’s South Side. The Green Line Performing Arts Center houses the E&A Theatre, a black-box venue with 80-plus seats; the Harris Studio, which can host rehearsals as well as performances; and a lobby and a courtyard for outdoor programming. 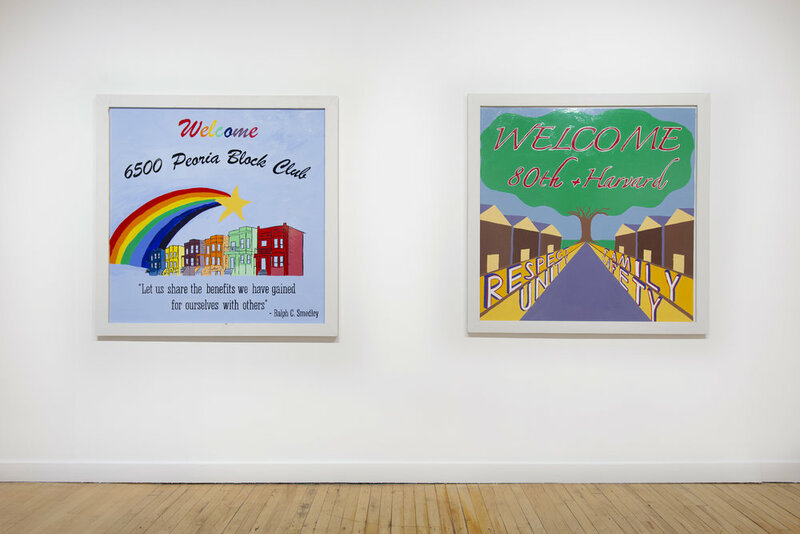 In partnership with The Center for the Study of Race, Politics, and Culture, Arts + Public Life welcomed artists Marisol Plard Narváez and Glorimar Marrero Sánchez to Chicago in May 2018. 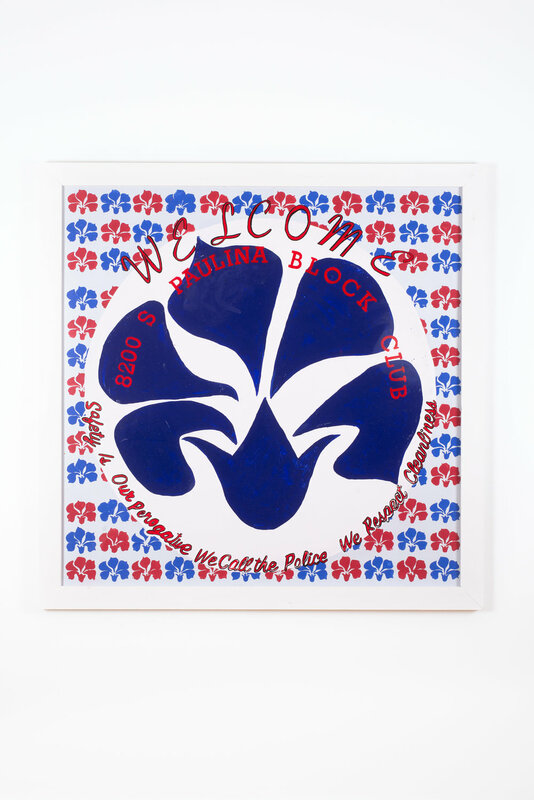 Their residency was part of a series of initiatives to support members of the academic and artistic communities of Puerto Rico who have been severely affected or displaced by the physical damage and social devastation brought on by hurricanes Irma and Maria. The residency allowed them to continue their work at the University of Chicago on a temporary basis. This initiative was the result of a collaboration between several partners at the University, including the Center for the Study of Race, Politics, and Culture, the College, the Office of Admissions, Campus and Student Life, UChicago Arts, UChicagoGRAD, The Graham School, and the Office of the Provost. 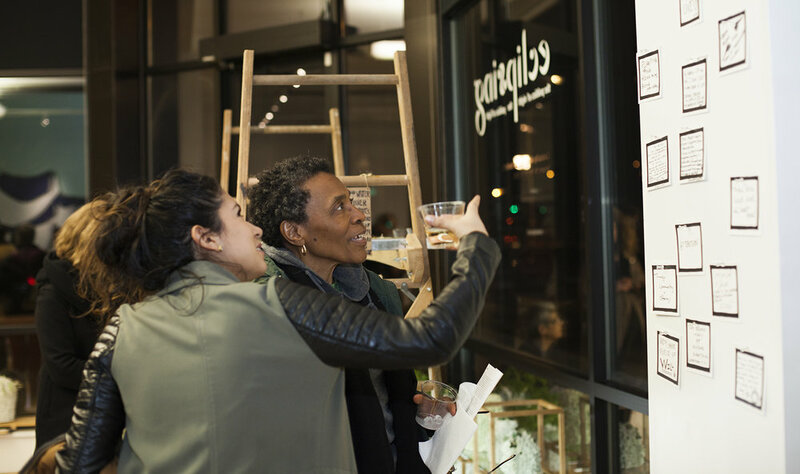 As the spatial footprint on the Arts Block continues to expand, Arts + Public Life continues to grow its partnerships with community-based organizations. Yoga has expanded to include kids jamm, a family yoga class where caregivers and children explore the mind-body connection together, cultivate moments of calm and create loving energy through music and movement in community with other families. 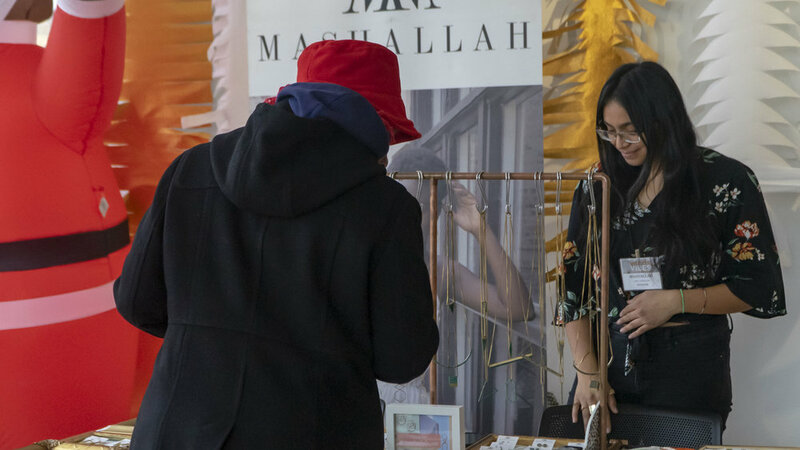 2018 marked the 5th anniversary of Vends + Vibes, an annual, two-day boutique winter marketplace of handmade crafts, specialty foods items and other unique creative products. 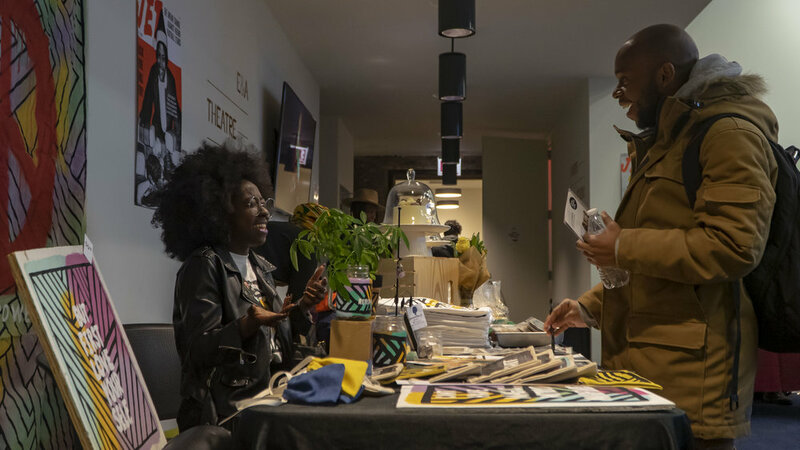 Vends + Vibes supports primarily South Side artists and entrepreneurs by providing a platform to sell their work. 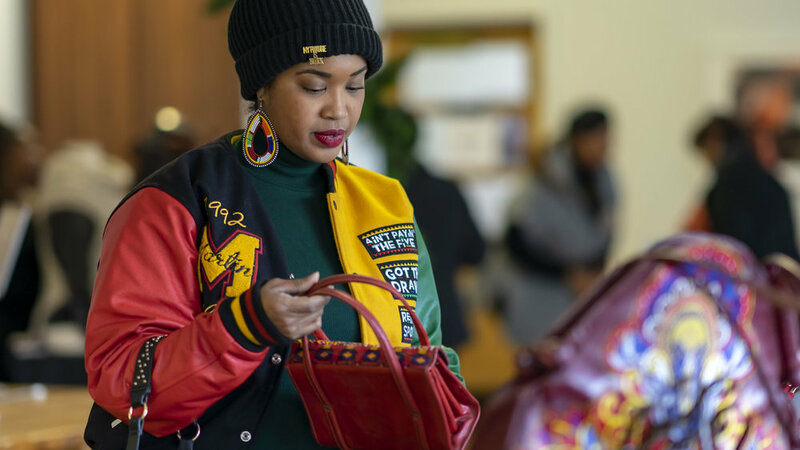 The marketplace is soundtracked by local DJs–this year friends shopped to the vibes of Cut Cuz, JayToo, Sadie Rock and Selah Say, in the expanded marketplace housed in the Arts Incubator and the Green Line Performing Arts Center. Soul Santa and Brother Nick delighted kids and adults with surprise appearances and photo ops near the S’mores station, Christmas tree and vendor displays. 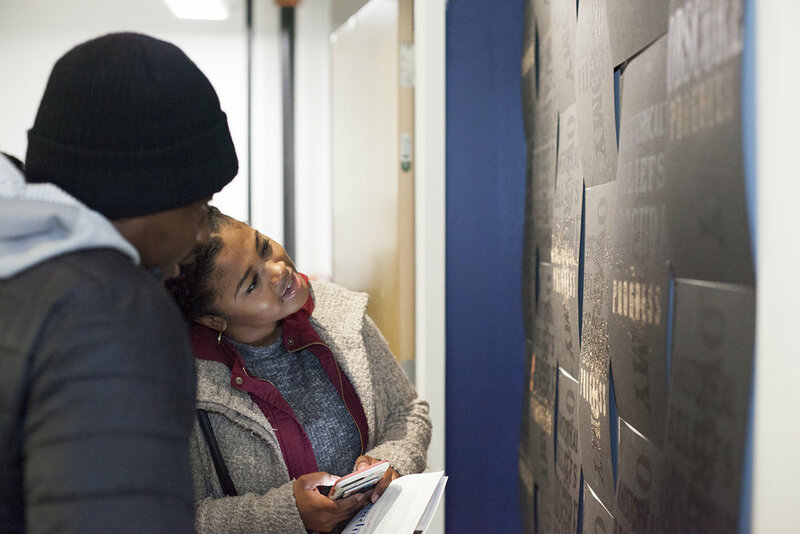 As a hub of creative activity, the Arts Block will be a lively destination throughout 2019 with both daytime and evening cultural engagements, and pivotal resources for emerging artists. 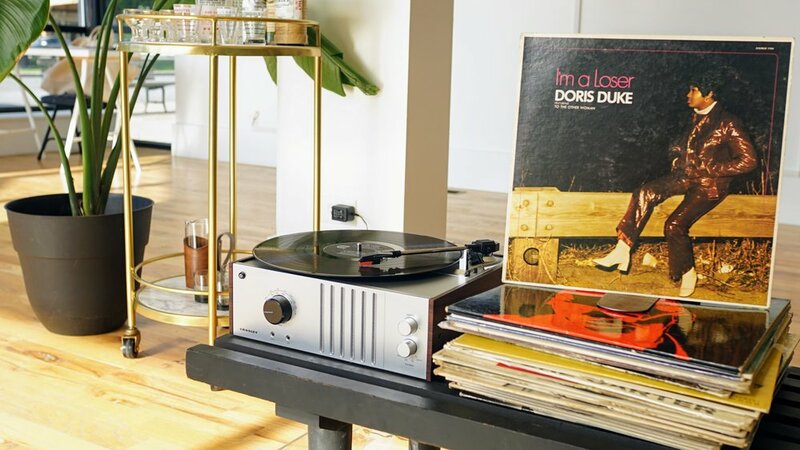 The popular First Monday Jazz series proudly centers on women musicians, singers and composers during Arts + Public Life’s Year of Women in Jazz, March 2019-March 2020. 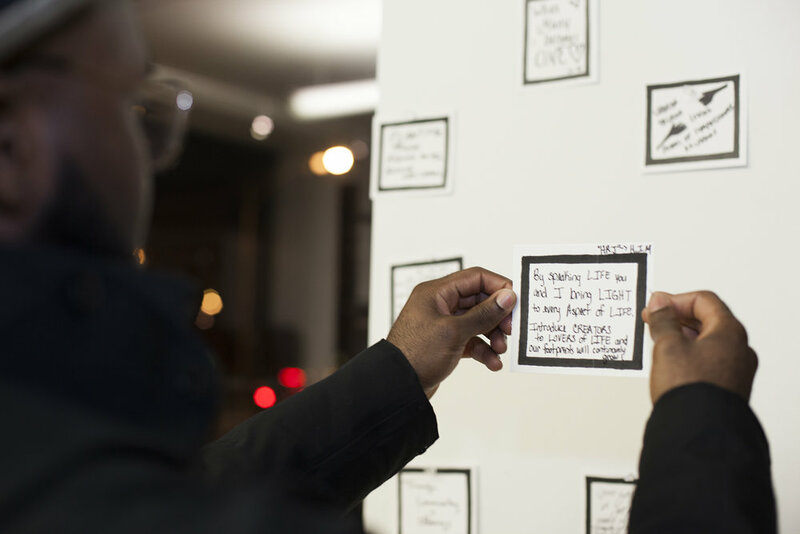 Game Nights, a new program series in development, that unpacks how design informs experiences. Chicago artists will pair game design with thorny, heavy and humorous conversation. 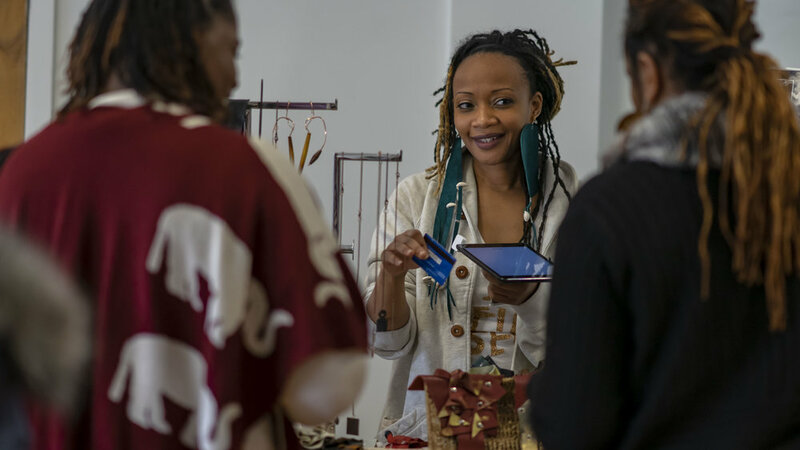 Arts + Public Life formalizes supportive services for creative entrepreneurs in 2019. An open call will be issued for applicants interested in pursuing temporary space in the historic Green Line CTA station currently been renovated into a Washington Park welcome center and small business incubator. APL continues its artistic exploration and attentiveness to prisons, policing and mass incarceration. 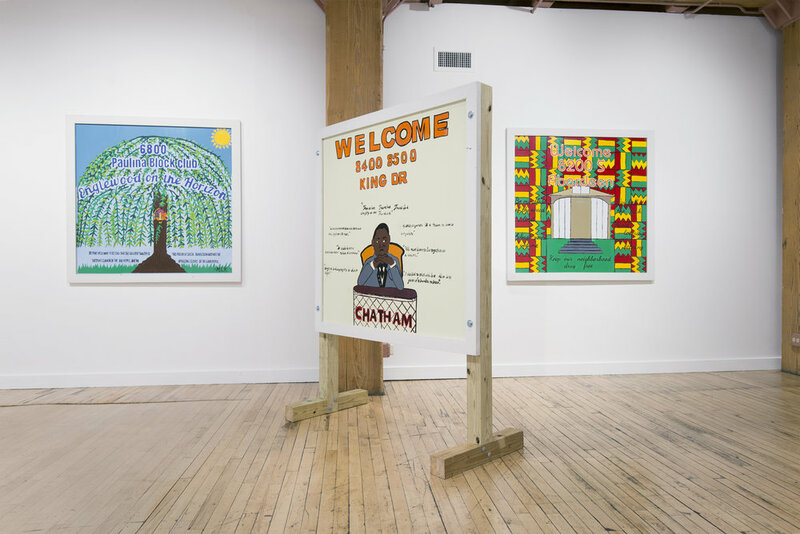 Mark your calendars for two upcoming 2019 exhibitions confronting the prison system’s impact on our communities with South Side Speculations (Jan-March) and Chicago Torture Justice Memorials’ Survivor Exhibition (March-April). APL presents Industry Night Open House for professionals in dance, theater and performing arts at the new Green Line Performing Arts Center. Discover the new theater and rehearsal venue and develop ways we can work together in early 2019. Call for new performance-focused residency based out of Green Line will open in fall of 2019. 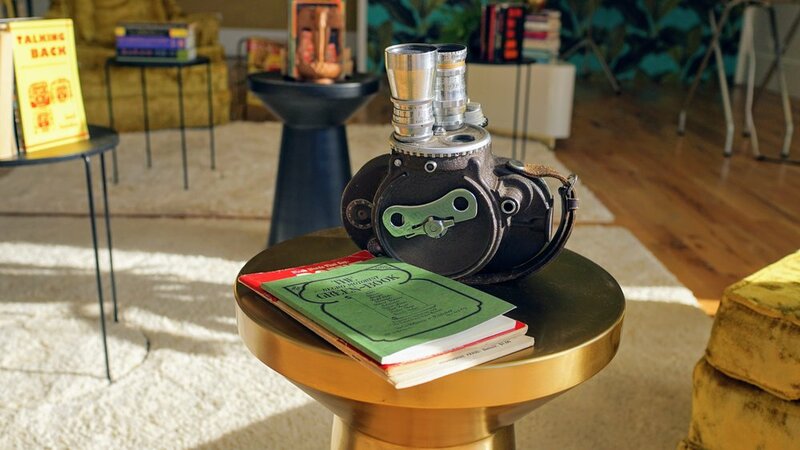 Student work from APL’s Design Apprenticeship Program Level 2 will be featured in Karthik Pandian & Andros Zins-Browne: Atlas Unlimited (Acts V–VI) exhibition at Logan Center Gallery (Opening Reception Feb. 1, 2019). Arts + Public Life remains committed to providing platforms for artists. 2019 will be filled with both new and long-standing creative connections. We will continue to offer accessible and relevant arts and cultural programming that centers on the concerns, perspectives and diversity of thought present on the South Side. Join us for this next exciting year on the Arts Block. Copyright © 2019 Arts + Public Life, All rights reserved.